This week, we're exploring Northern France and looking at a unique Alsatian white grape varietal: Sylvaner! As with many other grape varietals, Sylvaner is called slightly different things depending on where you are. 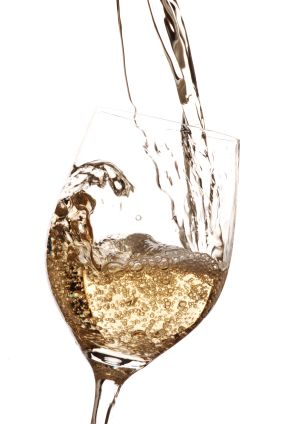 It is usually spelled 'Silvaner' or titled somewhat more elaborately as 'Grüner Silvaner' in Germany and Austria. Conversely, in France's Alsace region, it is almost always referred to as Sylvaner, and in Croatia, it goes by the name of Silvanac Zeleni. Regardless of its origin (or its spelling), Sylvaner is responsible for some fantastic, full-bodied, and nicely-structured white wines. 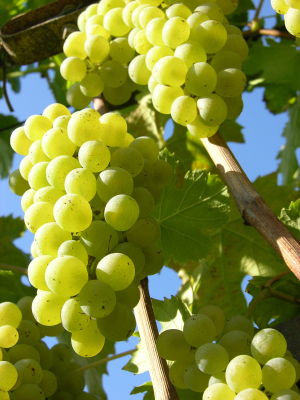 Sylvaner tends to ripen early and is a productive grape, meaning that yields can be quite high. However, winemakers must trim their grapes and reduce the yield sizes in order to ensure that the resulting wines are flavorful and distinct, rather than bland and watery. Also, despite its popularity in colder-climate countries such as Germany and Austria, Sylvaner is somewhat sensitive to frost, and snap frosts can be devastating for a harvest. Despite these risks, well-made Sylvaner will usually have a fair amount of freshness and structure on the pallet and a nose ranging from herbal to floral. Some winemakers prefer to leave some residual sugar in their Sylvaner, making it slightly sweet (or demi-sec), but most Sylvaners today are made dry. If you do have a demi-sec Sylvaner, however, it can make for fantastic paring with spicy Asian cuisines, such as thai curries, spicy General Tao chicken, or Teriyaki ribs. Dry Sylvaners are best paired with more traditional seafood dishes, such as sole or salmon, cold cuts, or drunk on its own as an aperitif. Flavour Profile: Most often with herbal and eucalyptus notes as well as floral aromas. Fresh, well-balanced and structured pallet.